Security information and event management (SIEM) software provides enterprise IT experts, system administrators and security professionals with detailed insight and a track record of the activities within their complex IT environment. In an era of big data, where most companies operate with hundreds of terabytes of data and big enterprises and banks grow easily to the petabyte range, it is impossible to track everything manually. SIEM software cares for the real-time monitoring of the infrastructure, systems, applications and network. By using this solution administrators can prevent or mitigate cyber attacks. Moreover they can identify the cause of a security problem and develop a solution to prevent it from happening again. SIEM solutions help you to monitor the user activity, to track the changes within your hardware and inventory. They are designed to collect security log events across all the hosts within your infrastructure and store them centrally. Thus SIEM software enables you to make a sophisticated analysis of your security event and take measures for increasing the overall security level of your enterprise. Last, but most important they are a must so that your enterprise can meet the regulatory compliance requirements. Many regulatory bodies around the globe require SIEM as a baseline standard to meet, especially if we talk for banks or financial institutions. High profile international banks, servicing huge amount of customers and managing a complex application and system environment have a rising demand and need for SIEM software. Choosing a SIEM solution to match your company needs is a hard task. To make it easier for you we have collected the top 5 problems of traditional SIEM you should be aware of. 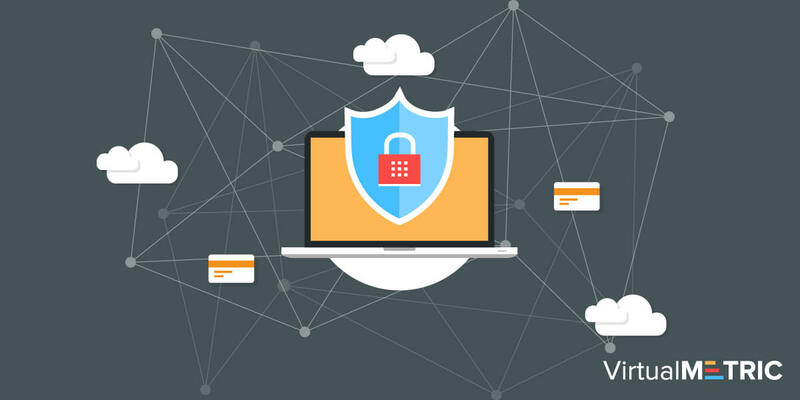 For most organizations, deploying a SIEM solution is urgent and connected with covering specific regulations or mitigating a risk. When you choose a SIEM solution, pay attention to its deployment time and flexibility. VirtualMetric is an agentless solution, which can be deployed almost immediately. Traditional SIEM solutions are too complex. Complex charts, heavy diagrams and lack of correlation between data. At VirtualMetric we combine different counters at one board to help you find the correlation between events. You can create predefined reports and statistics, which are always one click away. Thus we save you weeks of work. Have you ever felt lost between all emails? We appreciate your time and notify you only for the events you want. Track the activities which matter to you. VirtualMetric is the most feature-rich monitoring solution for Hyper-V and VMware on the market. And we are open for new feature request, so that you are fully satisfied from the SIEM solution. Moreover we provide maximum efficiency by great price/features ratio. VirtualMetric offers SIEM capabilities for the Windows SQL and IIS, Hyper-V and VMware virtualizations. Together with the Change Tracking for the complete inventory of the servers we cover also the ITIL certification needs of the enterprises.